Egyptian, Italian and Greek officials have been unable to confirm a report that up to 400 people, most of them Somali, had capsized near the Egyptian coast after setting off for Italy in boats. Officials in Egypt did not immediately respond to inquiries and Italy's coast guard, which coordinates all rescues in the waters between Italy and Libya, said it had no information about a shipwreck. 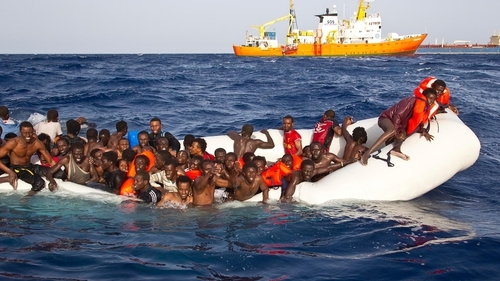 It did, however, say that six bodies had been recovered on Sunday and 108 migrants rescued from a semi-submerged rubber dinghy. The Greek coast guard also said it had no news of a fresh tragedy, and the Somali ambassador to Egypt, cited by the BBC, could not be immediately reached. In Geneva, UNHCR spokesman William Spindler said: "Our offices in Egypt, Italy and Greece are trying to find out more about this reported incident but, so far, we cannot confirm it." Exactly one year ago, an estimated 800 migrants drowned off the Libyan coast when the fishing boat they were travelling in collided with a mercantile vessel that was attempting to rescue them - the most deadly Mediterranean shipwreck in decades. 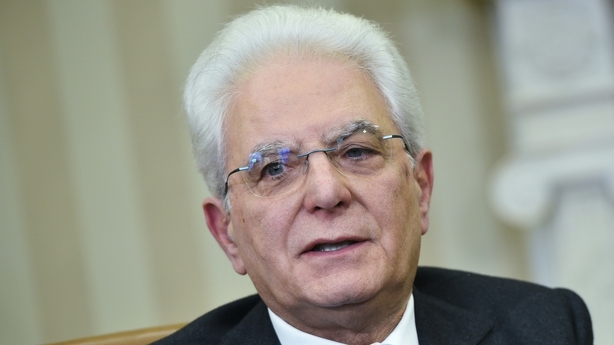 Speaking after the reports of up to 400 victims in a new tragedy, Italian President Sergio Mattarella said Europe needed to reflect in the face of "yet another tragedy in the Mediterranean in which, it seems, several hundred people have died". In yesterday's incident, six bodies were recovered and 108 migrants were rescued from a semi-submerged rubber dinghy, Italy's coast guard said, as boat arrivals accelerate amid calm seas. A private rescue ship called Aquarius run by humanitarian group SOS Mediterranee found the bodies on the rubber dingy yesterday, a coast guard spokesman said. Five women were among those rescued. The coast guard had no details about the nationality of the migrants. The migrants and the six corpses were being taken to the Italian island of Lampedusa, the coast guard said. 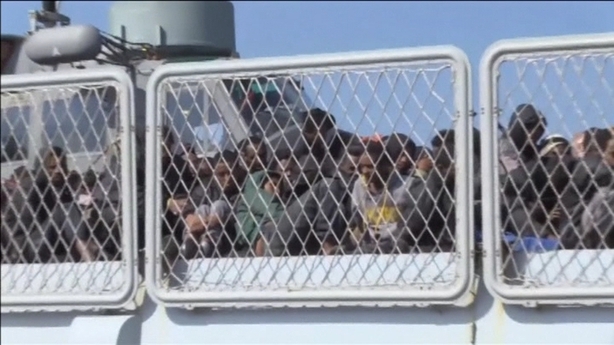 Italy's coast guard had earlier rescued 33 migrants from a small island off the eastern coast of Sicily on Sunday. Almost 6,000 migrants and refugees sailed from Libya to Italy last week in what appears the start of a wave of at least 100,000 and "possibly many, many more" this year, the International Organization for Migration said on Friday. Meanwhile, on the first anniversary of the death of 800 migrants off Lampedusa, Oxfam has accused the EU of failing to protect people seeking refuge in Europe. In a new report, the aid agency said that vulnerable people seeking safety and dignity remain at risk of death, torture and exploitation as they try to reach and cross the Mediterranean. The crossing between Libya and Italy is the deadliest sea route in the world and the death toll for 2016, before today, had already reached 219. Nearly 10,000 people attempted to use this route to reach Europe in March alone. Total arrivals to Italy in the first quarter of 2016 were almost double the number of arrivals in the same period in 2015. The migration crisis will top the agenda of a two-day meeting of European Union Foreign Affairs, Defence and Development Ministers that gets under way in Luxembourg today. The meeting of the EU Foreign Affairs Council will discuss the external dimension of migration and finding solutions to migratory pressures. The ministers will also discuss the EU's regional strategy for Syria and Iraq and the threat posed by the so-called Islamic State. Minister for Foreign Affairs and Trade Charlie Flanagan will attend the meeting. UN Special Representative for Migration has said that the Italian authorities and people are responding in a very constructive way to the migrat crisis. Speaking to RTÉ's News at One Peter Sutherland, who is visiting migrant camps in southern Italy, said that this is the "season of major migration from Libya". He said that the first obligation in Europe has to be to save lives. President Michael D Higgins has called for solidarity and social cohesion to address the challenges facing the EU, including what he referred to as the "refugee crisis". Speaking at the inaugural Irish Association of Contemporary European Studies annual lecture at the Royal Irish Academy in Dublin, President Higgins said these issues "were given a further poignant urgency" in light of today's reported deaths. Mr Higgins spoke of what he described as "our current European paralysis" and "the crisis in democracy in Europe". In relation to the AEU's response to the arrival of new migrants, Mr Higgins said confidence and not apprehension should have guided its response.